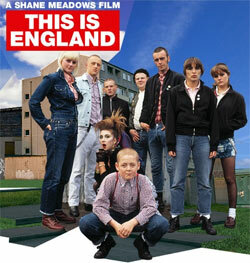 Set in England during the 80's 'This Is England' is the story of a 12 year old Shaun (Thomas Turgoose) as told by director Shane Meadows whose previous film credits include 'Dead Man's Shoes', a story of victimisation, abuse of power and revenge, in rural England. Here in Shane Meadow's latest film, Shaun, an isolated lad growing up in a grim coastal town, whose father has died fighting in the Falklands war, finds friendship with the local skinheads. Shaun discovers a world of parties, first love and the joys of Dr Martin boots. Here he meets Combo (Stephen Graham), an older, racist skinhead who has recently got out of prison. As Combo's gang harass the local ethnic minorities, the course is set for a rite of passage that will hurl Shaun from innocence to experience. Keywords="England, 1983, Skin heads, skinheads ,midlands, Shane Meadows, Myspace Shane Meadows Myspace, Director, Drama, outsider, 80&rsquo;s little boy, dead father, Writer Shane Meadows, cult film, Lord Shane Meadows of Eldon / Shaun Fields, Filmaker, Empire Records, The Stairwell, Northern Soul, Dead Man&rsquo;s Shoes, Once Upon a Time in the Midlands, 26 December 1972, &nbsp;Uttoxeter, Staffordshire, England, Optimum Releasing, film company,Awards, nominations, Warp Films, Big Arty Productions, Ingenious film Partners, Film Four, UK Film Council, EM Media, Screen Yorkshire, This Is England, 18 Certificate, Downloads, Homepage, Cast, Images, Profiles, Video, Trailers, Interviews, Deleted Scenes, Shane Meadows Interview, Music, Soundtrack, Buy, Tracklisting, Digital Purchase, Quotes, Reviews, Headlines, Articles, NFT Retropsective, Special Screenings, Festivals, I&rsquo;m Thomas, Character, Video Diary, video diaries, location, In Cinemas, Cinema listings, Click, Pre-order, Film soundtrack, Podcasts, Wallpapaers, T-shirt prints, Links, Music player, Combo, Woody, Shaun, Lol, Milky, racist, racism, black, BNP, Falklands war, National Front, Skinhead culture, neo-nazism, thuggery, violence, anti-social behavious, skins, mods, ska, working class, English identity, Margaret Thatcher, Mark Herbert, Producer, Cynth, Smell, Gadget, Pukey, Kelly, Pob, football, school, bullying, movie, writer, director, nazis, social, economic, politics, national, national party, Special Jury Prize (CINEMA Festa Internazionale di Roma), Best British Independent Film, Most Promising Newcomer Thomas, Turgoose (British Independent Film Awards), Nominated for 7 BIFA awards (British Independent Film Awards), best british film, best director, best screenplay, best newcomer, Bradford Film Festival"
Implicit behind a lot of this stuff, like being asked to do blogging, is that we're getting a more representative view of the public. That's a great paradox. It's a wider thing than the internet, but the internet sums it up. It's that on the surface it says that "the internet is a new form of democracy". So what you're seeing is a new pluralism, a new collage, a new mosaic of all sorts of different ideas that's genuinely representative. But if you analyse what happens, it simplifies things. First of all, the people who do blogging, for example, are self-selecting. Quite frankly it's quite clear that what bloggers are is bullies. The internet has removed a lot of constraints on them. You know what they're like: they're deeply emotional, they're bullies, and they often don't get out enough. And they are parasitic upon already existing sources of information - they do little research of their own. What then happens is this idea of the 'hive mind', instead of leading to a new plurality or a new richness, leads to a growing simplicity. The bloggers from one side act to try to force mainstream media one way, the others try to force it the other way. So what the mainstream media ends up doing is it nervously tries to steer a course between these polarised extremes. So you end up with a rigid, simplified view of the world, which is negotiated by mainstream media in response to the bullying extremities. Far from being "the wisdom of crowds", it's the stupidity of crowds. Collectively what we are doing is creating a more simplified world. Adam Curtis is one of the jewels in the BBC's crown - as well as one of its fiercest critics. His documentaries are rich, complex histories of ideas that have surprised BBC executives with their popularity amongst younger viewers: his montage technique and visual jokes reward repeated viewings. The Century of the Self told the story of how Freud's nephew invented modern public relations [pt3]. The Power Of Nightmares [video] described how the myth of the al-Qaeda "network" had to be invented so a terror trial could be heard under America's RICO laws. The Trap [pts1&2] describes how reductionist and paranoid logic of game theory influenced psychology, biology and eventually social policy. Chris Locke on Adam Curtis. There’s absolutely no point going on a social networking site and not disclosing any information because you might as well go to the pub, sit in the corner and not say a word because you’re worried about your personal privacy. This week's Analysis on Radio 4 has Ben Hammersley asking whether social networking sites have changed our notion of privacy and if so, what the consequences for society might be. In 'With Friends Like These', Professor Robin Mansell of the London School of Economics discusses how different generations each see the concept of personal privacy, while Danah Boyd from the Berkman Centre for the Internet and Society at Harvard says that online identities are now a fundamental part of growing up. Adam Joinson of the University of Bath explains the psychology behind online relationships while Will Reader from Sheffield Hallam University, has new research about the strength and nature of these relationships - just how much of a friend is an online friend? And David Evans, from the Information Commissioner's Office says that the government's privacy watchdog is so concerned about the information people give away about themselves, that the Information Commissioner is about to issue guidelines for users of social networking sites. The Dewey Decimal System has been used to classify books in libraries for 140 years. Its inventor, Melvil Dewey, was so obsessed with efficiency he had specific pockets for different times of the day. Shaun Wallace visits his local library to see how the system works and wonders whether the advent of the internet search is jeopardising something precious. This audio will be available until 30th October 2007. It was a crazy way to win World War II in the Pacific-- All the United States had to do was to attach small incendiary bombs to millions of bats and release them over Japan's major cities. As the bats went to roost, a million fires would flare up in remote crannies of the wood and paper buildings common throughout Japan. When their cities were reduced to ashes, the Japanese would surely capitulate... The plan made sense to a handful of eccentric promoters and researchers, who convinced top military brass and even President Roosevelt to back the scheme. It might have worked, except that another secret weapon--something to do with atoms--was chosen to end the war. Told here by the youngest member of the team, this is the story of the bat bomb project, or Project X-Ray, as it was officially known. In scenes worthy of a Capra or Hawks comedy, Jack Couffer recounts the unorthodox experiments carried out in the secrecy of Bandera, Texas, Carlsbad, New Mexico, and El Centro, California, in 1942-1943 by "Doc" Adams' private army. This oddball cast of characters included an eccentric inventor, a distinguished Harvard scientist, a biologist with a chip on his shoulder, a movie star, a Texas guano collector, a crusty Marine Corps colonel, a Maine lobster fisherman, an ex-mobster, and a tiger. Not to be defeated by minor logistical hurdles, the bat bomb researchers risked life and limb to explore uncharted bat caves and "recruit" thousands of bats to serve their country. Through months of personality conflicts, military snafus, and technical failures the team pressed on, certain that bats could end the war with Japan. And they might have--in their first airborne test, the bat bombers burned an entire brand-new military airfield to the ground. You can listen to the story on BBC Radio 4 if you missed it earlier today. A useful introduction to Anthropology and Ethnography in Business from Radio 4. Shop Talk discusses the anthropologists who no longer observe tribal people out in the jungle, but watch us instead. These days we're the tribal people, it's us they're observing as we go about our daily lives and over the past few years especially, what we do and why we do it is becoming of increasing interest to business. Accountants, for instance, how they react to a mountain of emails; why middle class mobile phone users in China take their phone to the temple to be blessed; how we do the shopping. It's all grist to the mill of running a company or selling us things. And it gives busy executives an insight into the real world that people like us inhabit. But does it really work or is it another passing fad in the world of marketing, like the focus groups many people think it's replacing? And is persuading people to buy things they probably don't need really what anthropologists ought to be doing? I browse Napster by looking at which tracks have been recently added to the catalog as this is an interesting way of discovering music I am only vaguely aware of. 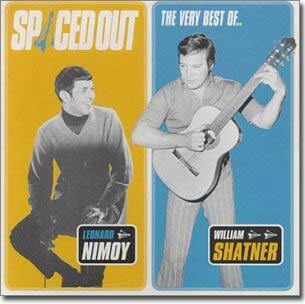 This week I found this album by Kirk and Spock. I have now listened to most of the tracks and I would love to know how Napster prioritise the order in which they add albums to their catalog. Did a lot of people ask for this album? Do Napster just pick an album out of a box? Or is their some kind of method to this madness? The best track has to be the 'Ballad of Bilbo Baggins' which captures the Middle Earth mania of the sixties. MSN Music Club? What MSN Music Club? So, it looks like the current MSN Music Club provided by OD2/Loudeye is not going to be around much longer. 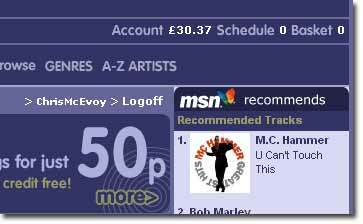 I have been using MSN Music Club since it was launched and currently have £30.37 in credit to use up. 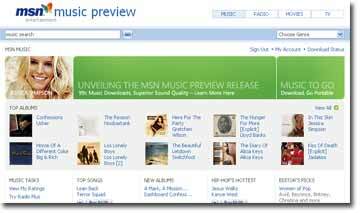 MSN are obviously going to launch their 'new' MSN Music Store in the UK at some point. When that happens the Online Store link in WMP10 will go there. But in the meantime, why haven't they linked through to the 'legacy' MSN Music Store from WMP10? And I would also like to know if I will be able to carry my credit across to the new store, or get a refund from MSN? Microsoft launched their original OD2 MSN Music Club to stake out a claim to the online music business while they worked on developing their own music store in-house. Now that their replacment store is ready to go it appears that they are getting ready to dump their existing store (hence the lack of links in WMP10). 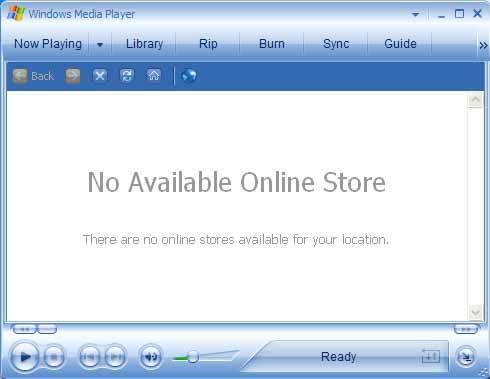 I have had no communication from MSN about the future of their music store and I can only assume that they want to wipe the slate clean and start again. A special edition of Radio 4's long-running counterfactual history series, What If..? imagines the consequences had the D Day landings failed on 6 June 1944, taking over from where From Dunkirk To D Day left off. 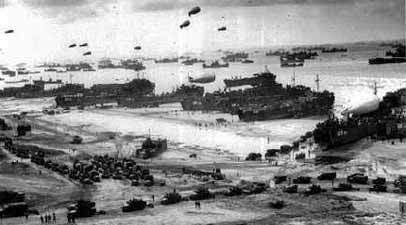 As General Dwight Eisenhower knew only too well, the Normandy landings were an enormous gamble. On the eve of D Day he even wrote a communiqué that he would have released had the landings failed. It's far from beyond the bounds of possibility that the Allies might have met considerably greater German opposition than they did. 1/5. The Blue and the Green. A five-part celebration of some of our most familiar, but unrecognised design classics: the road sign, the white line, the roundabout, the green man and the traffic calmer. Some are regarded as international design classics, others bemuse overseas visitors as eccentric. But as Joe Kerr finds out behind them lie forgotten histories, and fifty years of combined brainpower from typographers, psychologists, engineers and ordinary members of the public. In the first programme, Joe meets the woman who was one half of the partnership who in the 1960s came up with the distinctive look of British road signs. Today they are heralded as a triumph of design. And if you've ever wondered who drew the pictures on our signs - this programme reveals all. Kind of like listening to a radio play with a flash storyboard.